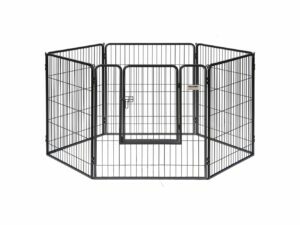 The 360’s multiple streams and circular design allows pets to drink from any angle and is great for multiple pet households. 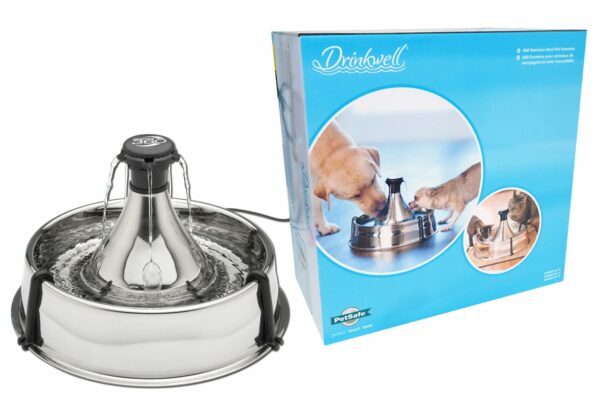 The Drinkwell 360 Multi-Pet Stainless Steel Pet Fountain provides 4 L of fresh, filtered water to your pet. Multiple free-falling streams of water entice your pet to drink more and continually aerate the water with oxygen. 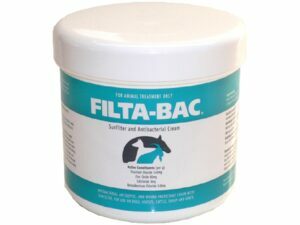 An activated carbon filter removes bad tastes and odours, giving your pet the best way to stay hydrated. 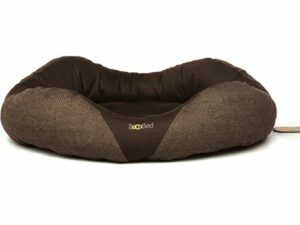 The 360’s multiple streams and circular design allows pets to drink from any angle and is great for multiple pet households. 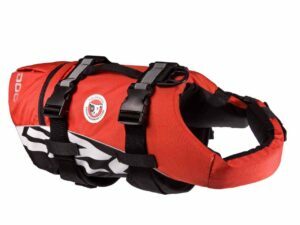 Replaces SKU D360SS-RE. L 35.6cm x W 35.6cm x H 20cm. Simple, Safe, and proven to benefit your pet's health. 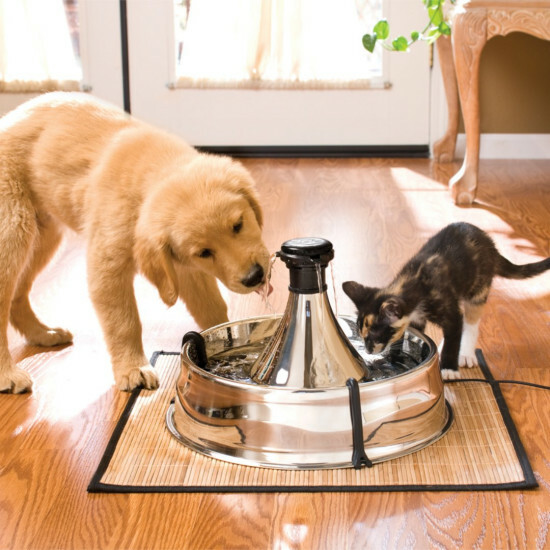 The Drinwkell® Pet Fountain is a great way to show your pets just how much you care. Our research shows that one of the best ways to improve your pet's health is to get them to drink more water. And the best way to do that is with the Drinkwell® Pet Fountain. 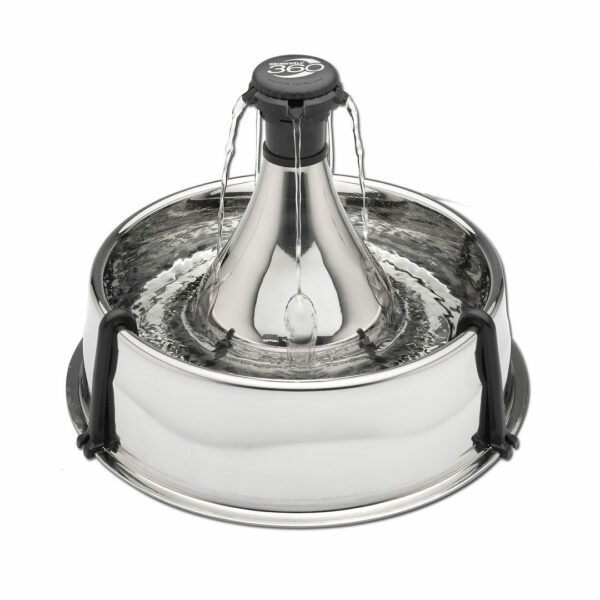 By using a 5-inch falling stream of water, the pet fountain continually aerates your pet's water with healthful oxygen. 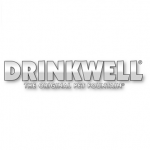 The Drinkwell® is the best way to entice your pet to drink more water! 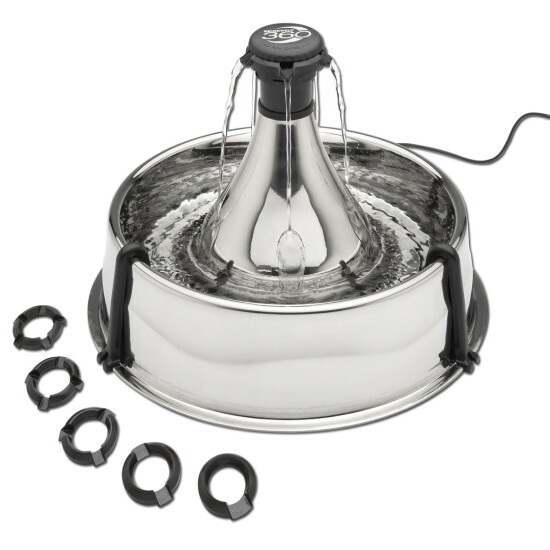 This is an AMAZING pet fountain and if you have never bought one before and are on the fence about it, I highly recommend it. I’ve always used gravity waterers but found myself replacing the cartridges and refilling it constantly. Then when I adopted a second dog (in addition to my first dog and cat), I decided to invest in a pet fountain to give them fresher water and a bigger drinking area. Even if you only have one pet, this fountain is perfect, but I really love it’s round design so they can all have a drink at once. Stainless steel is the best option for drinking water (I’ve heard negative things about the use of plastic), and it looks good in my kitchen. We have 6 small dogs, and within minutes, 5 of them were drinking out of it. I was afraid they would be afraid of it at first, but they weren’t. I love the interchangeable rings so you can have multiple streams of water at the same time. I like that it’s easy to clean and is dishwasher safe. It’s quiet, and holds 1 gallon of water. We love everything about it. In theory, this product should have been perfect for my lab who prefers to drink ‘moving’ water. She completely ignores a fresh bowl and goes to the tub for a drink from the faucet. The first few days, she did well drinking from the fountain. Then she decided to bang it with her nose like a toy so, unfortunately, after spending what I did on it, I am back to the drawing board for the perfect fountain!